John Griffith London was born in San Francisco of an unmarried mother of wealthy background, Flora Wellman. His father may have been William Chaney, a journalist, lawyer, and major figure in the development of American astrology. Because Flora was ill, Jack was raised through infancy by an ex-slave, Virginia Prentiss, who would remain a major maternal figure while the boy grew up. Late in 1876, Flora married John London, a partially disabled Civil War veteran. The family moved around the Bay area before settling in Oakland, where Jack completed grade school. Though the family was working class, it was not so impoverished as London's later accounts claimed. As an adolescent, the boy adopted the name of Jack. He worked at various hard labor jobs, pirated for oysters on San Francisco Bay, served on a fish patrol to capture poachers, sailed the Pacific on a sealing ship, joined Kelly's Army of unemployed working men, hoboed around the country, and returned to attend high school at age 19. In the process, he became acquainted with socialism and was known as the Boy Socialist of Oakland for his street corner oratory. He would run unsuccessfully several times on the socialist ticket as mayor. Always a prolific reader, he consciously chose to become a writer to escape from the horrific prospects of life as a factory worker. He studied other writers and began to submit stories, jokes, and poems to various publications, mostly without success. Spending the winter of 1897 in the Yukon provided the metaphorical gold for his first stories, which he began publishing in the "Overland Monthly" in 1899. From that point on he was a highly disciplined writer, who would produce over fifty volumes of stories, novels, and political essays. Although "The Call of the Wild" (1903) brought him lasting fame, many of his short stories deserve to be called classics, as does his critique of capitalism and poverty in "The People of the Abyss" (1903), and his stark discussion of alcoholism in "John Barleycorn" (1913). London's long voyage (1907-09) across the Pacific in a small boat provided material for books and stories about Polynesian and Melanesian cultures. London was among the most publicized figures of his day, and he used this pulpit to endorse his support of socialism, women's suffrage, and eventually, prohibition. He was among the first writers to work with the movie industry, and saw a number of his novels made into films. His novel "The Sea-Wolf" became the basis for the first full-length American movie. Because he was an autodidact, London's ideas lacked consistency and precision. For example, he clearly accepted the Social Darwinism and scientific racism prevalent during his time, yet he seemed troubled that the "inevitable white man" would destroy the rich cultures of various native groups he had encountered over the years. Although he supported women's suffrage and created some of the most independent and strong female characters in American fiction ("The Moon Valley"), he was patriarchal toward his two wives and two daughters. His socialism was fervent, but countered by his strong drive toward individualism and capitalist success. These contradictory themes in his life and writing make him a difficult figure to reduce to simple terms. 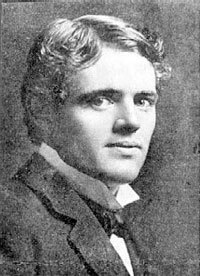 Jack London died on November 22, 1916 on his ranch. Because his writings were translated in several dozen languages, he remains more widely read in some countries outside of the United States than in his home country. Study of his life and writings provides a case through which to examine the contradictions in the American character, along with key movements and ideas prominent during the Progressive era. Following London's death, for a number of reasons, including his novel "Martin Eden" (1909), a biographical myth developed in which he has been portrayed as an alcoholic womanizer who committed suicide. Recent scholarship based upon firsthand documents challenges this myth, but its persistence has resulted in neglect of Jack London's full literary ouevre and his significance as a seminal figure in turn-of-the-century social history.